Quality | Eurospec Manufacturing Inc.
Eurospec maintains a critical level of manufacturing intelligence through training and education at every level of talent, company-wide. Skills and trade development are important in achieving the high product quality and manufacturing excellence that Eurospec provides. With quality system certifications constantly changing, Eurospec cultures a strong philosophy of continuous improvement in every aspect of the organization. 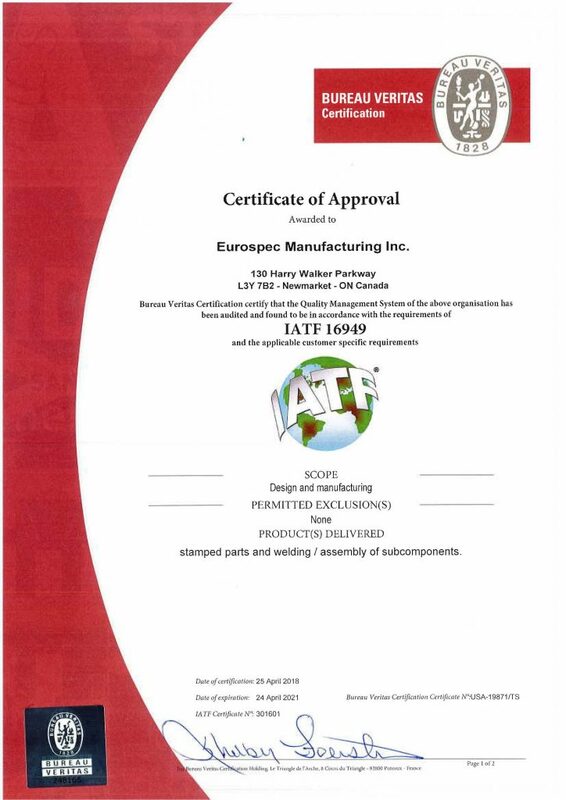 Eurospec has been certified since 1998 and currently holds the IATF:16949 Certification. Today, Eurospec maintains a strong and highly recognized membership in the global automotive community. Our dedication to quality and focus on customer needs are what make Eurospec a recommended, globally known organization.